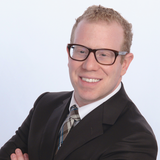 David Warshaw, CFP®, CHFC®, CLU® is a Senior Wealth Manager with Blueprint Wealth Alliance. As a comprehensive financial advisor, David takes great pride in advising his clients on a variety of matters related to their financial life. He seeks to make even the most challenging financial concepts simple, relatable and… dare we say it… fun! In fact, David has even set himself the ambitious goal of being able to explain any financial topic in three sentences or less. David began his financial planning career in 2004 with Ameriprise Financial Advisors. In 2010, he left Ameriprise and founded his own independent wealth management firm with a plan-first philosophy. David's firm continued to expand until it merged into BluePrint Wealth in late 2016. David has always placed an emphasis on education. In 2003, David graduated with a Bachelor of Science degree from Washington University in St. Louis with a double major in finance and accounting. Shortly after entering the financial profession, David became a Chartered Financial Consultant and a Chartered Life Underwriter, and in 2016, he became a CERTIFIED FINANCIAL PLANNER™. Outside of work, David has many varied interests, including dancing, music, and martial arts, having recently taken up Muay Thai. He also enjoys traveling and experiencing new places and cultures. To date, David has visited nearly 20 different countries and hopes to further expand that list in the near future. Never one to shy away from a challenge, David has even tried his hand at stand-up comedy.